Our Themes are easy to install, follow the instructions below and you will be running in just a few simple steps with ONE CLICK DEMI IMPORT. ORANGE is a multi-purpose, Business Divi Child Theme. 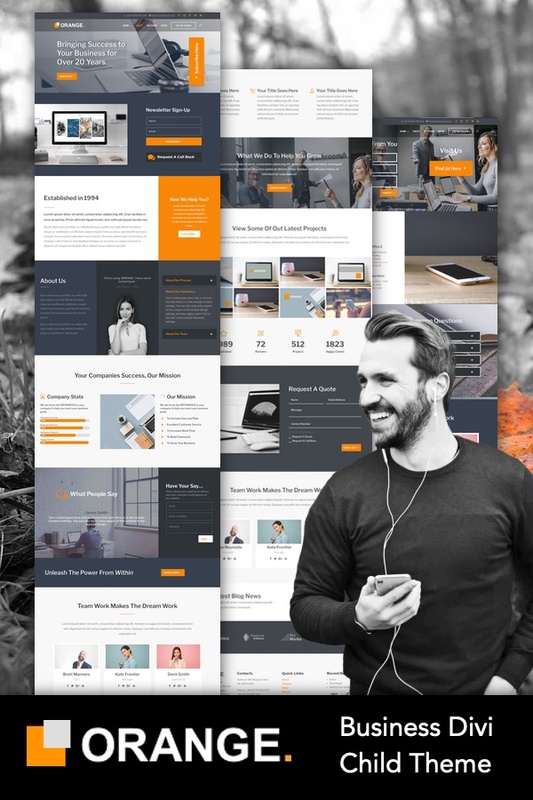 ORANGE is our Best Theme by LoveDivi and all 6 Pages + 3 Blog Pages have been strategically designed, not only with excellence, but with your business in mind. 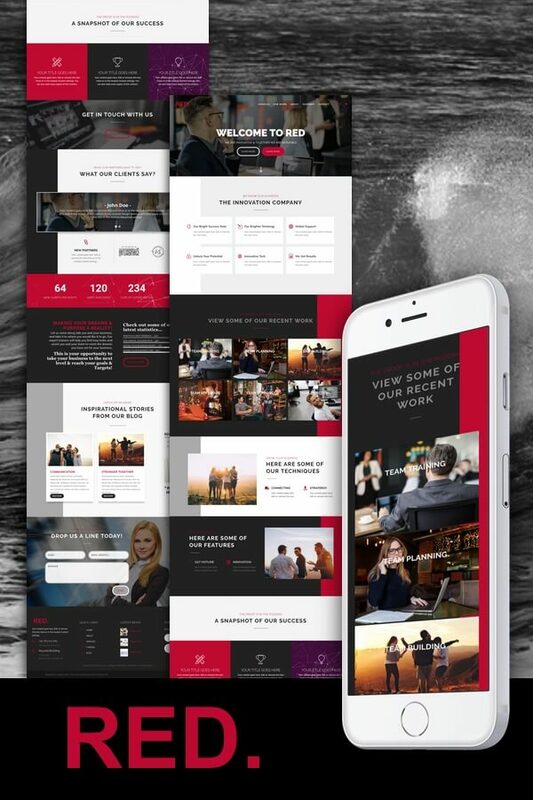 We have taken the most important Divi Design elements and put them together in this Theme. 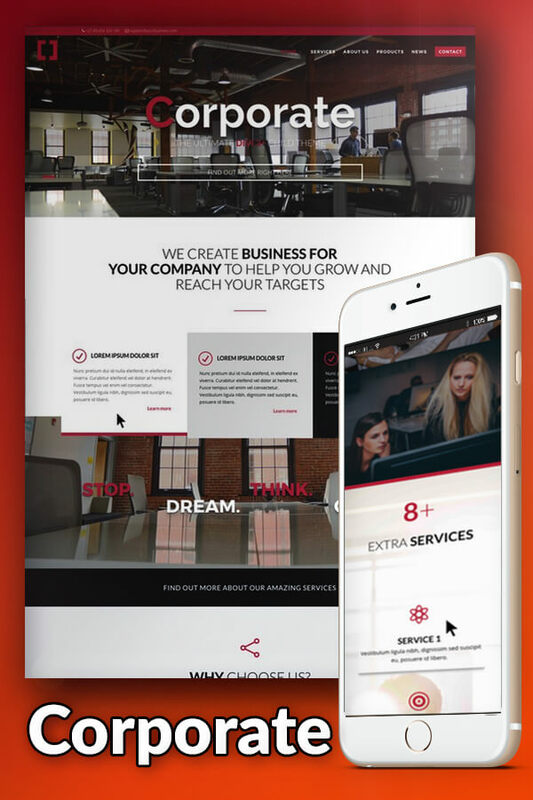 We have also dedicated a whole page design called SECTIONS, which will also be in your Divi Library after download, to give you endless options in each of your Divi Projects. 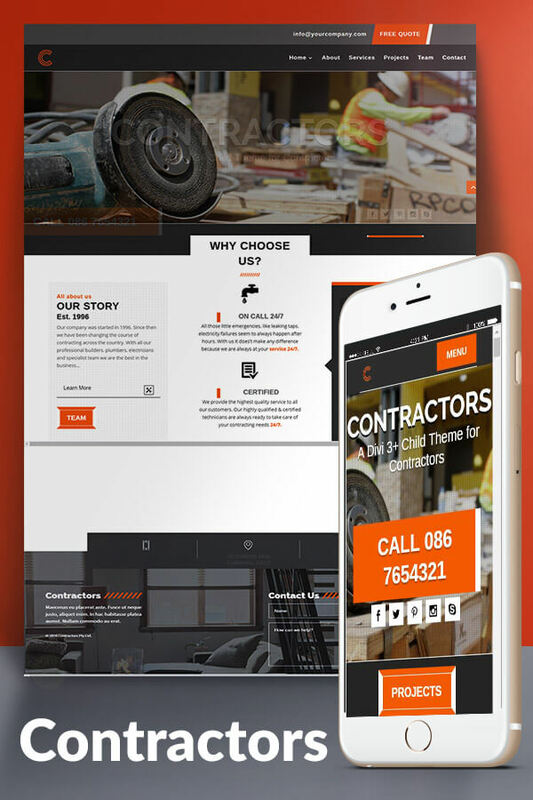 That’s not all – we have included a second Home Page option, and a Light or Dark option footer – the choice is yours. Lots to choose from plus you can use this theme on any number of projects. Don’t miss out – Get ORANGE Today! 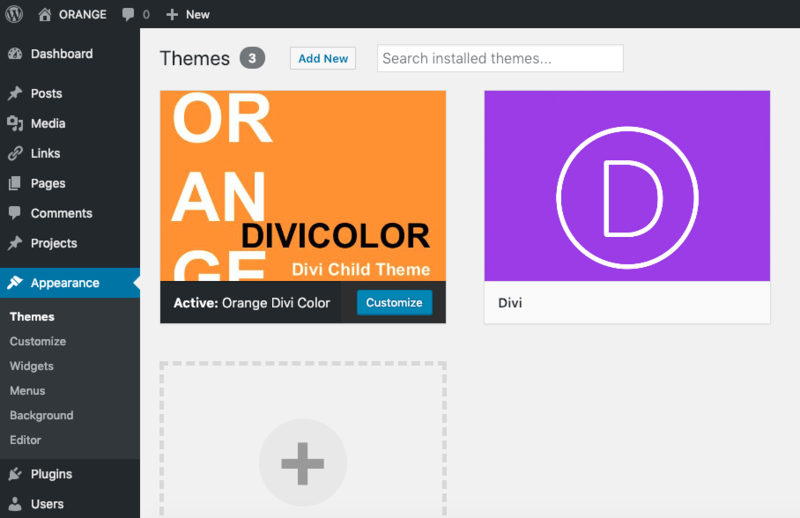 Having Divi 3+ installed is required before running this theme. 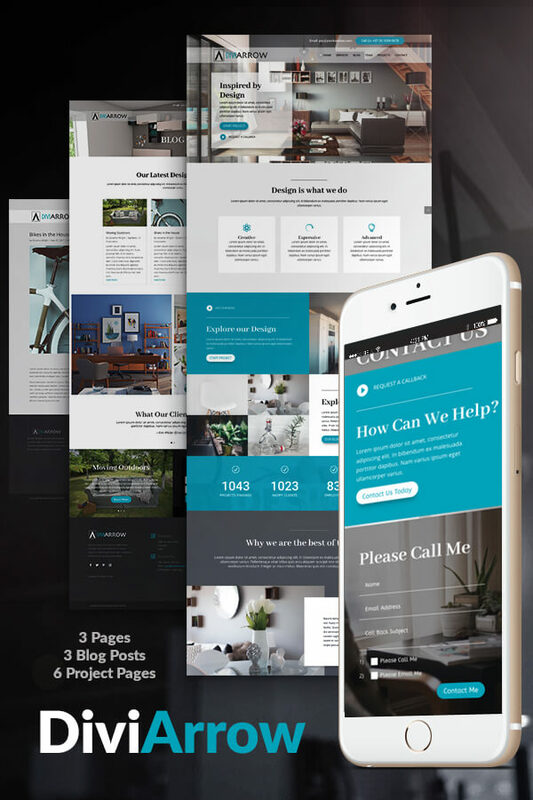 A clean Divi install is recommended when using this theme. Click Activate > and you will see your new Divi child theme activated and the original Divi Theme to the right of it. 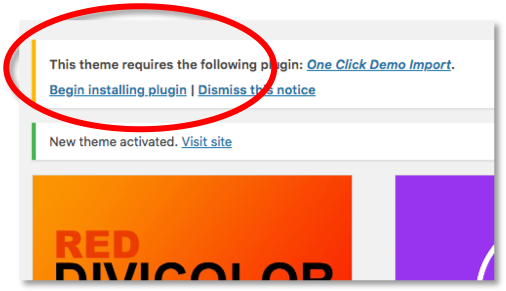 After activating the child them, you will automatically be instructed to install the One Click Demo Import Plugin. This plugin will help you get up and running in just a few Easy clicks. Click on the Import / Export Button (Up Down Arrows). Import and choose your new downloaded JSON Theme options file. Once imported, make sure you click SAVE. To target the border around the GET IN TOUCH Button, you will need to find the Menu-Item-Number from your menu. Go to View > Developer > Developer Tools to give you a screen showing you the elements of your site. You will see the menu item as being 432. You will need to change 432 to your menu item number. Wherever you see 432 – change it to your number. Make sure you only change the number and nothing else. The bottom image on the left shows you how I found the menu item number using the process ablove. Not too sure with CSS Coding? Not a problem – In your Child Theme CSS section, you will notice the CSS Code is clearly labelled so you can see where to change colours and many of the other CSS Edits. You can also add the Customizer JSON File downloaded if you wish, but One Click Demo Import should have taken care of this for you. If your Secondary Menu does not look like the Demo, check that your menu looks like the image below, with the correct areas checked, also make sure in Appearance > Menus > Secondary Menu – The Secondary Menu box is checked. Well DONE! That’s It – your new theme should look just like the ORANGE. Demo theme. Now you can be creative and start adding your own content and images. Check out some of our other Themes on Elegant Marketplace!